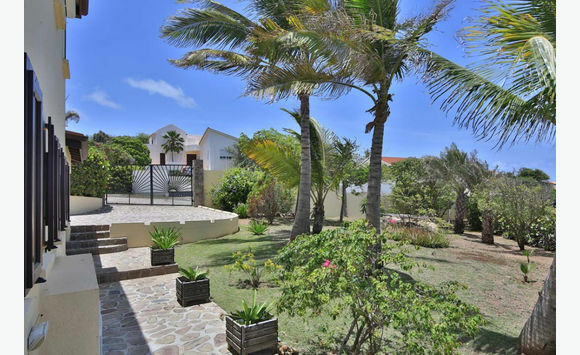 Sea Jade (completed in 2004) is located on an east coast peninsular on the Dutch side at an elevation of 65 meters and 250 meters from the shore line. 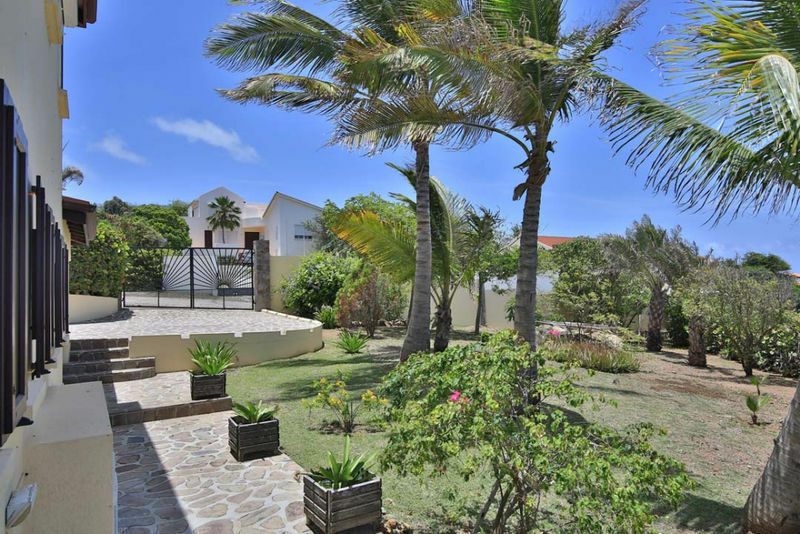 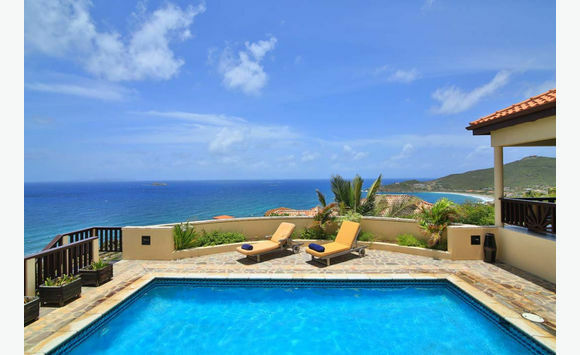 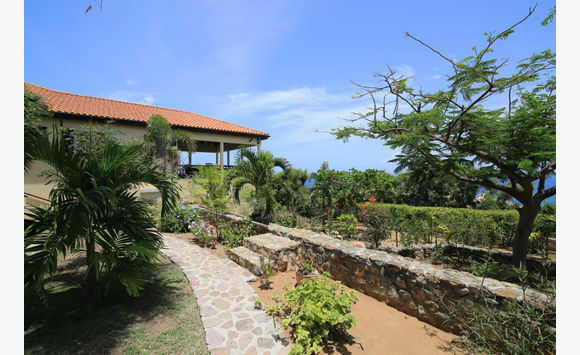 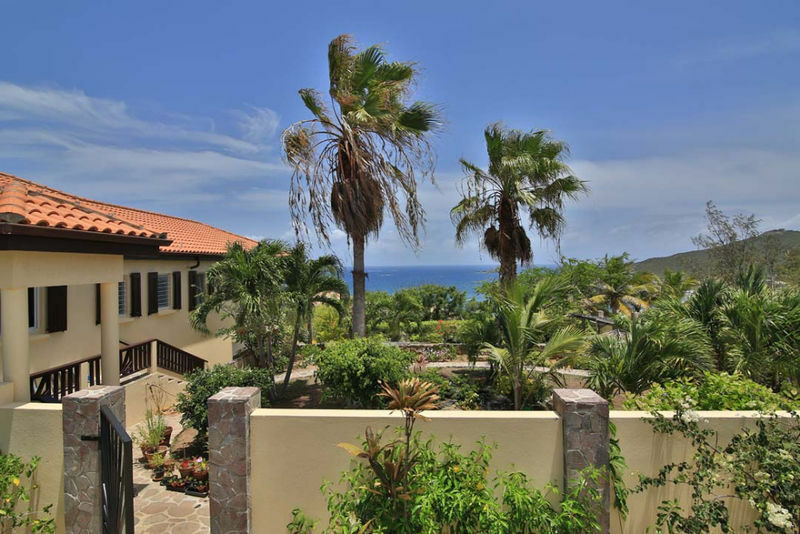 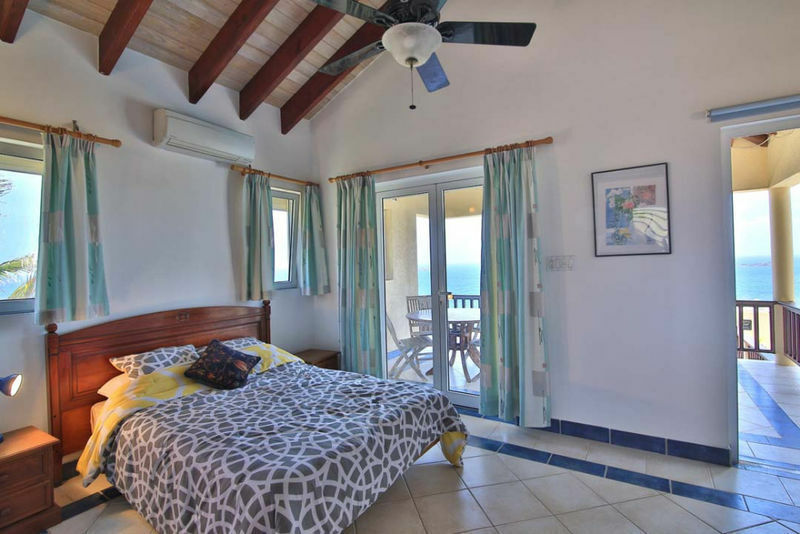 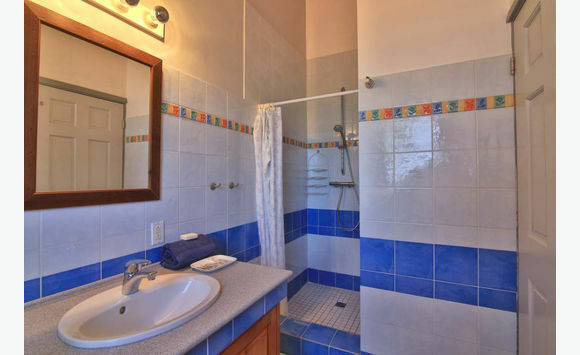 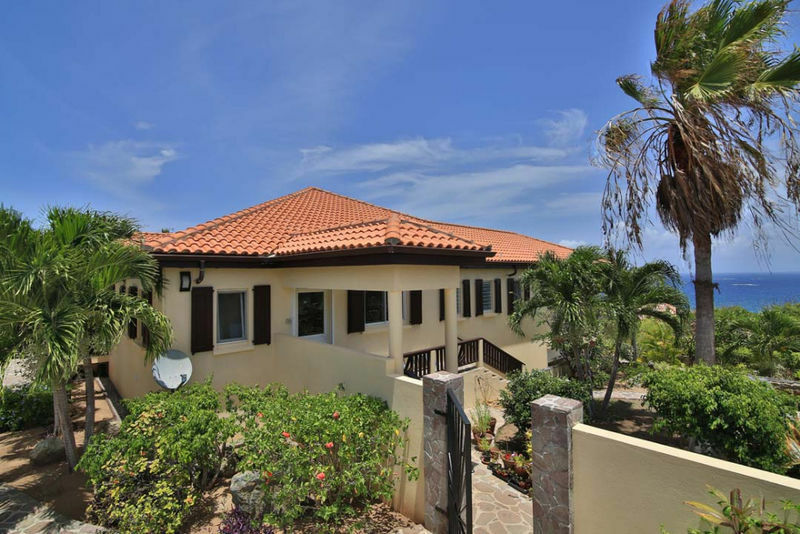 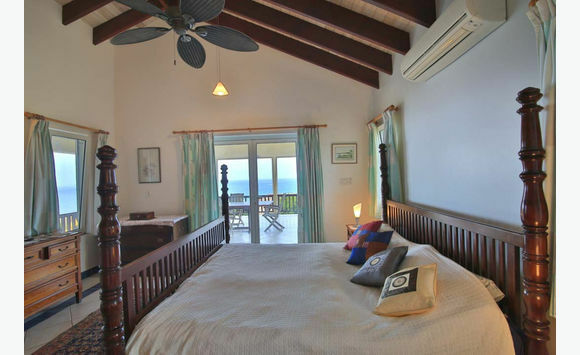 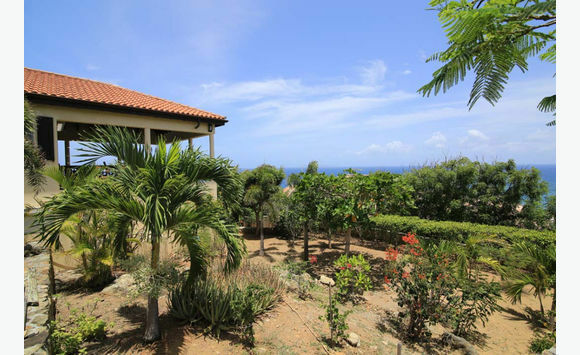 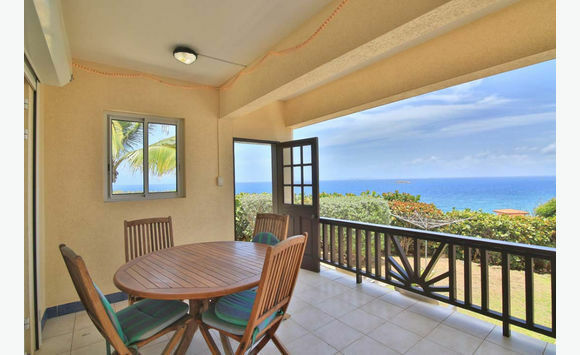 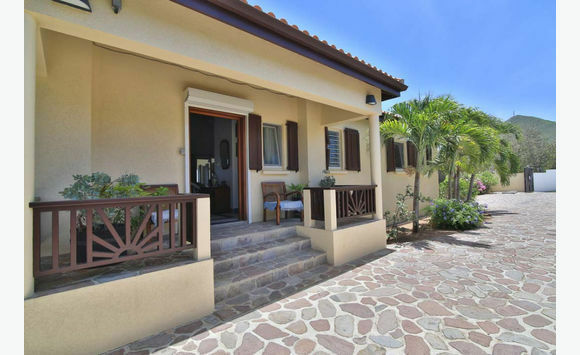 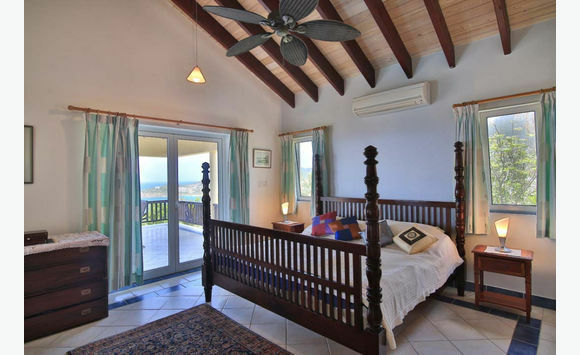 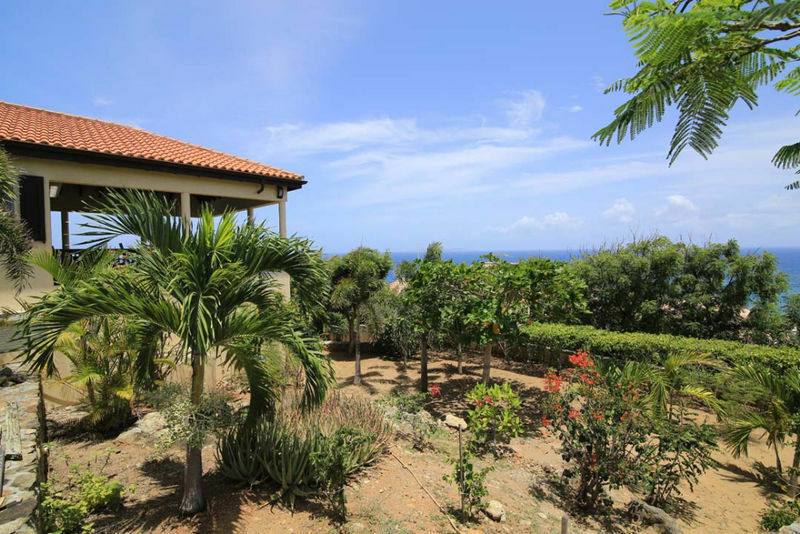 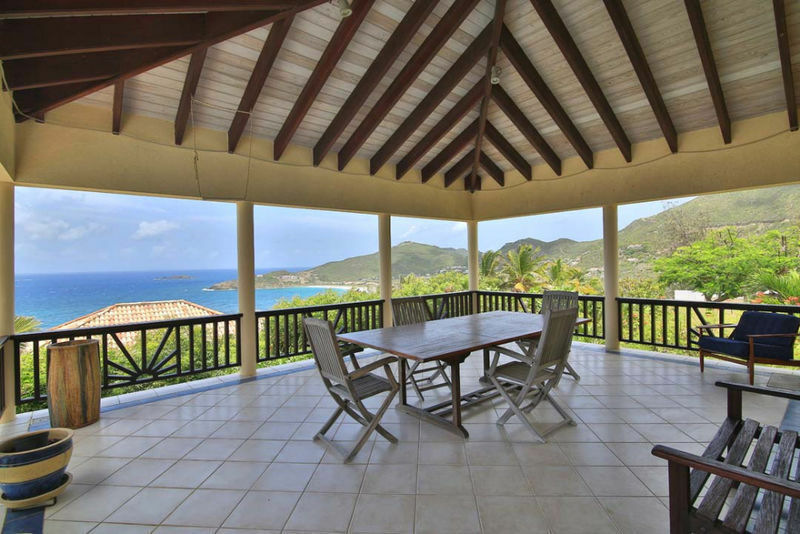 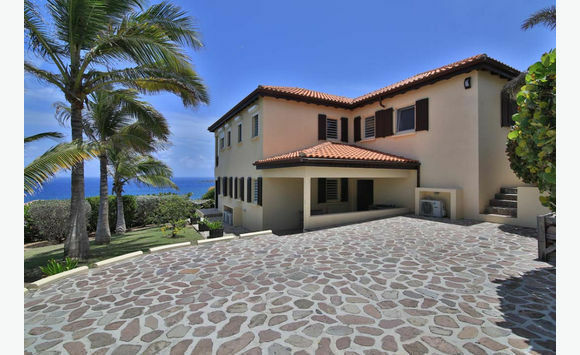 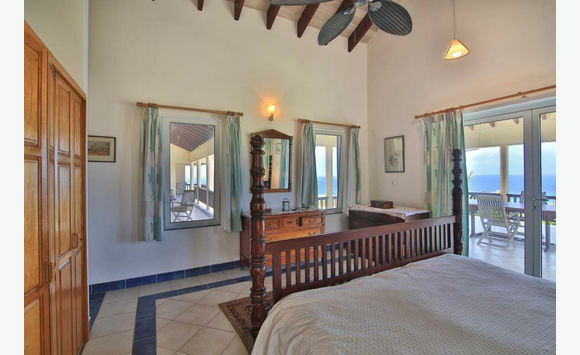 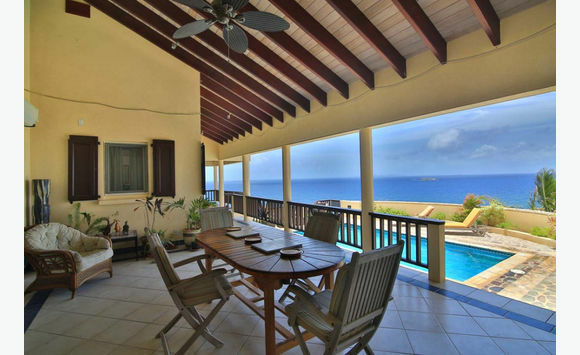 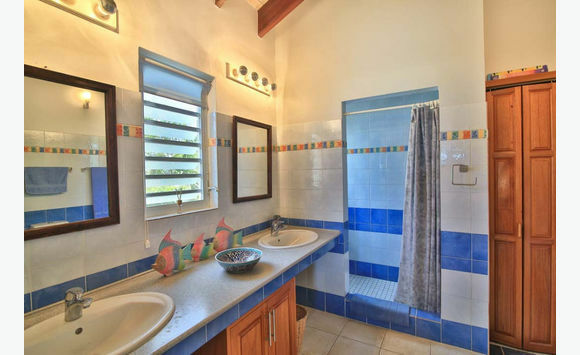 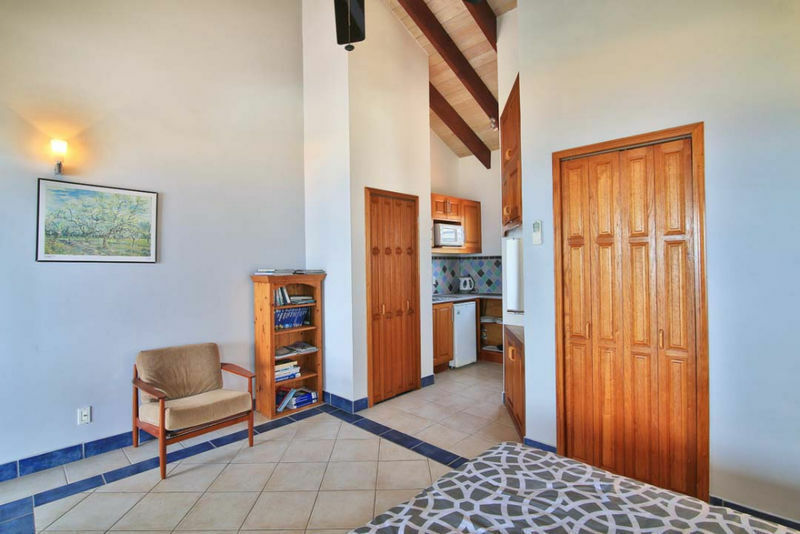 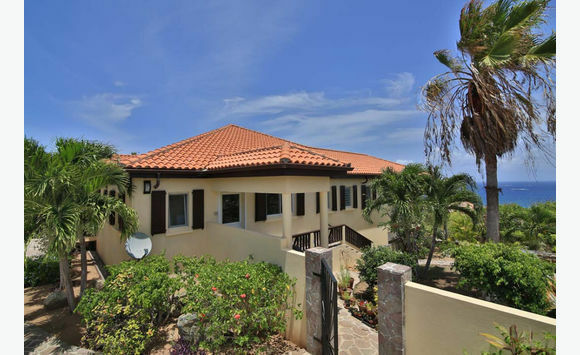 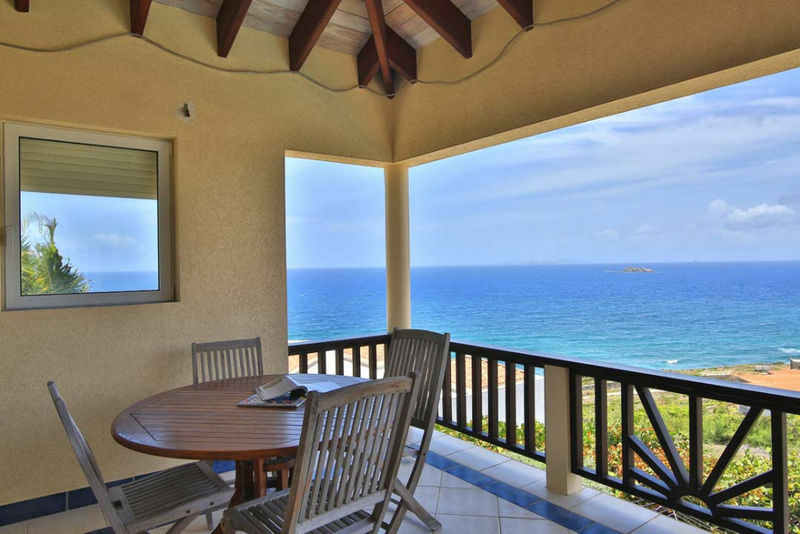 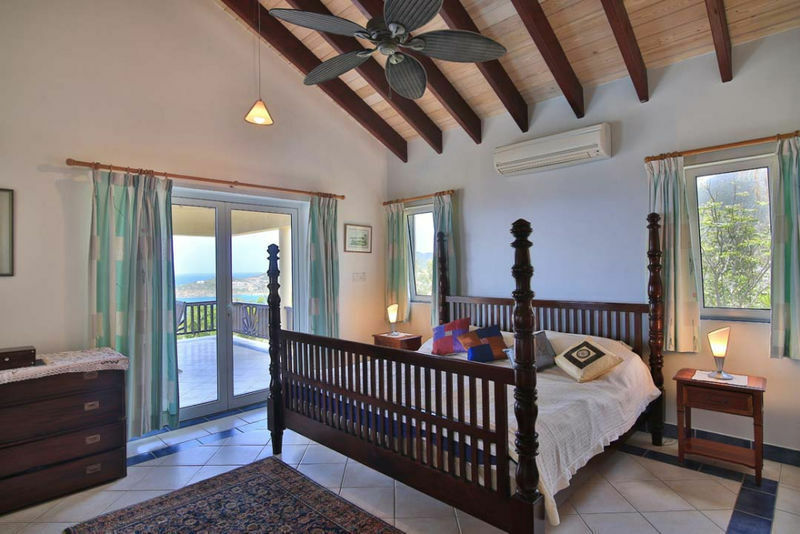 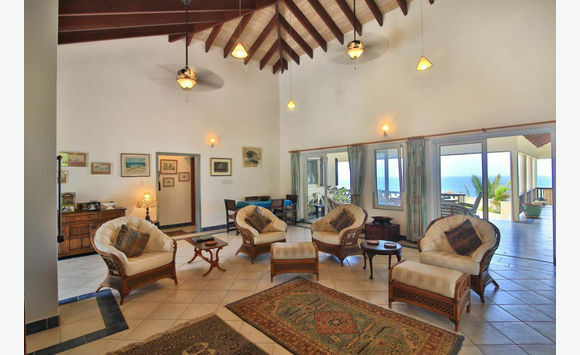 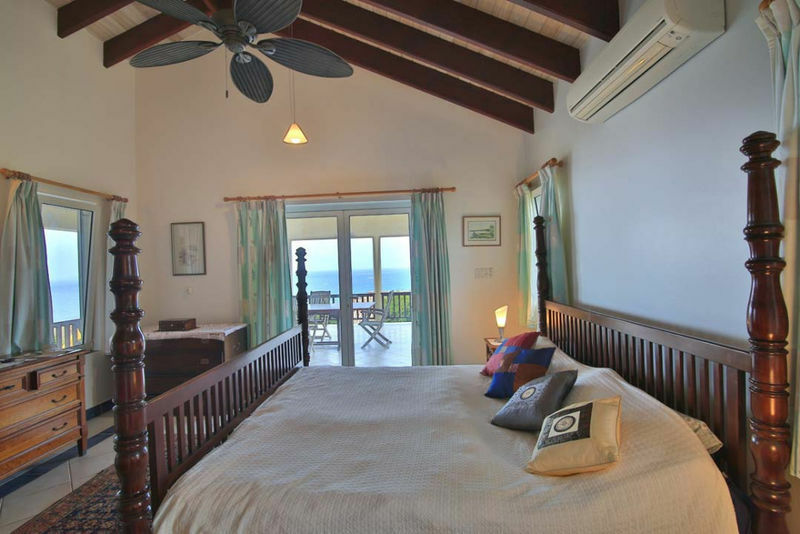 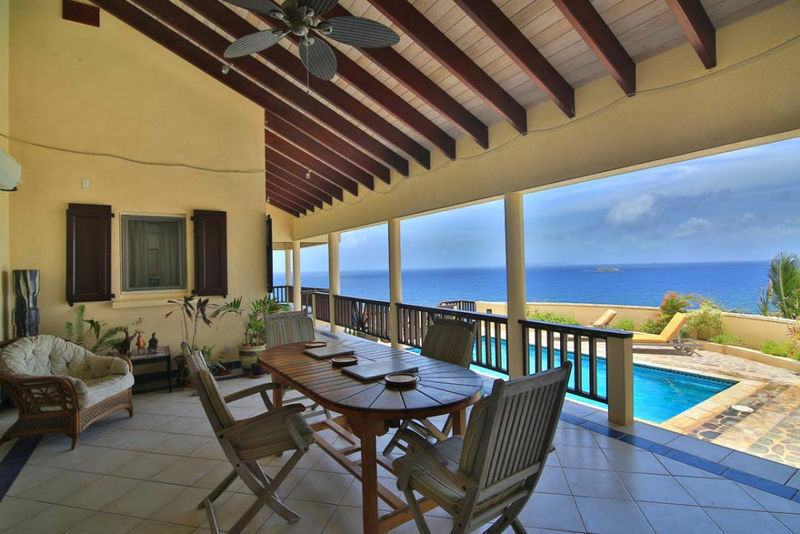 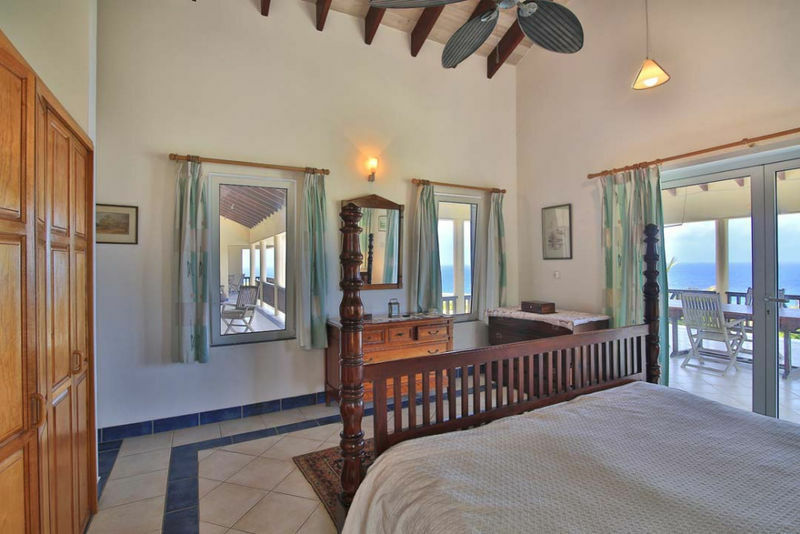 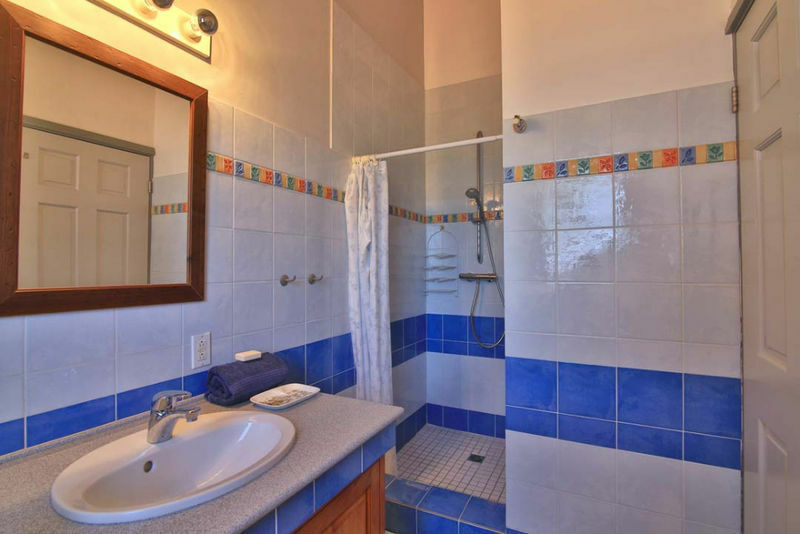 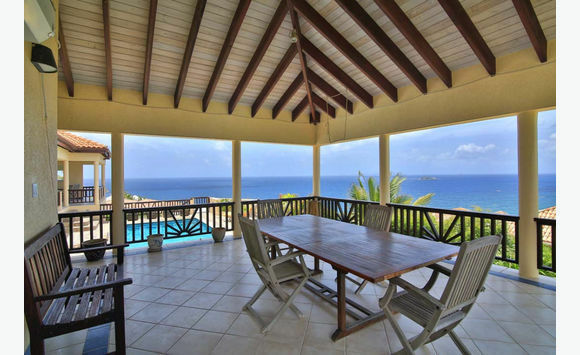 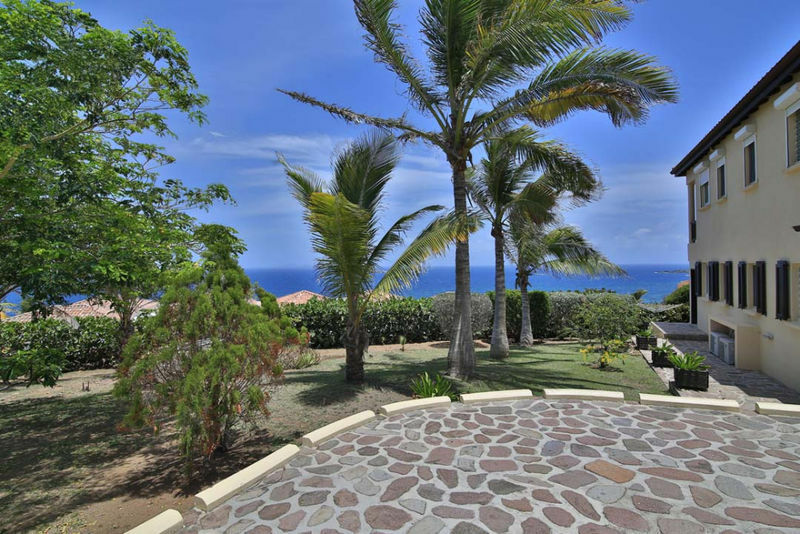 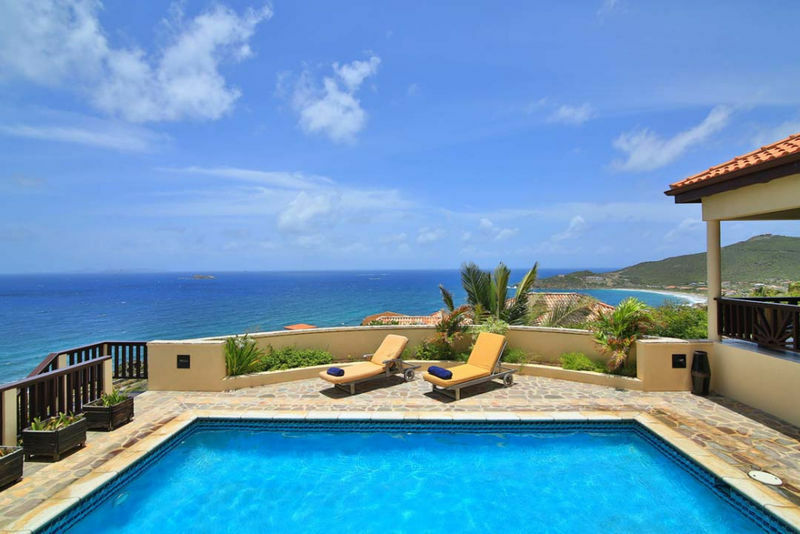 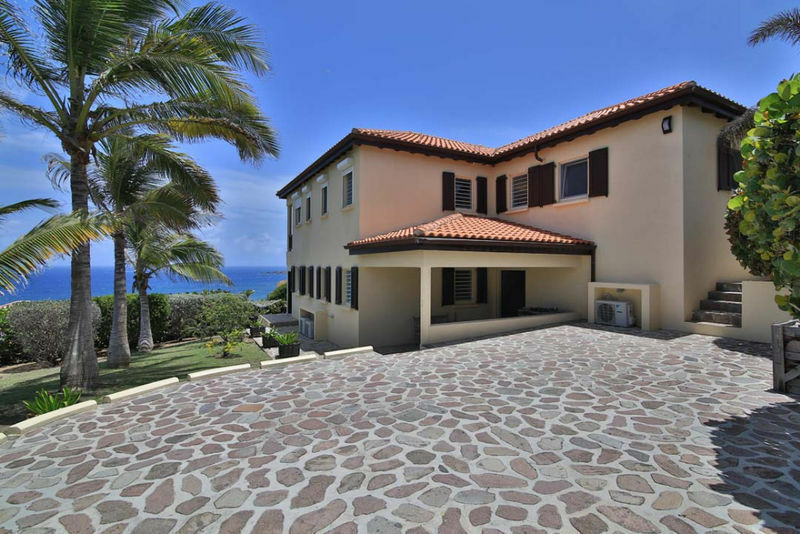 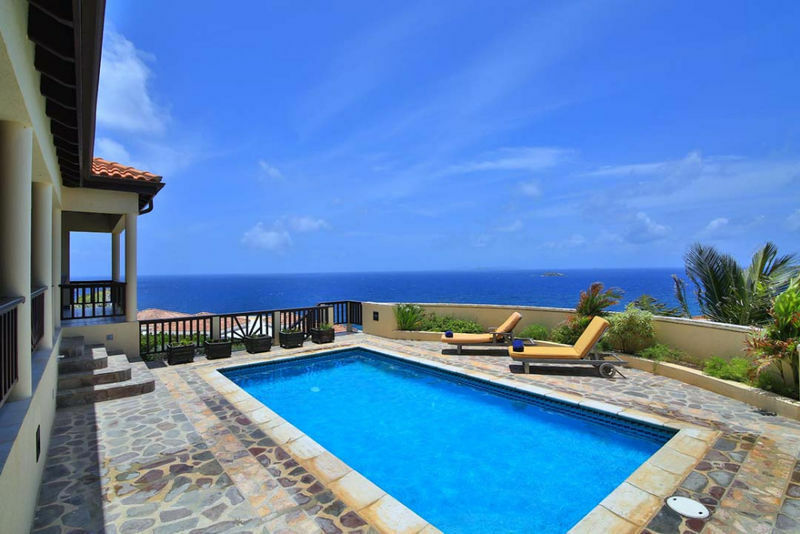 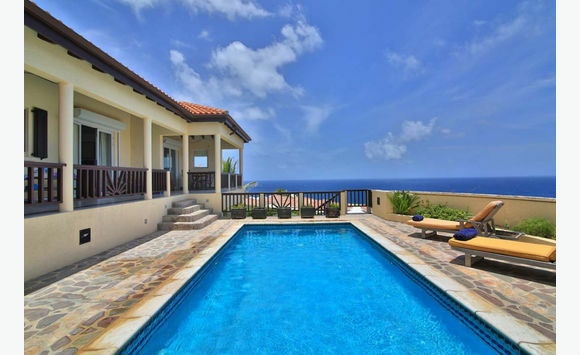 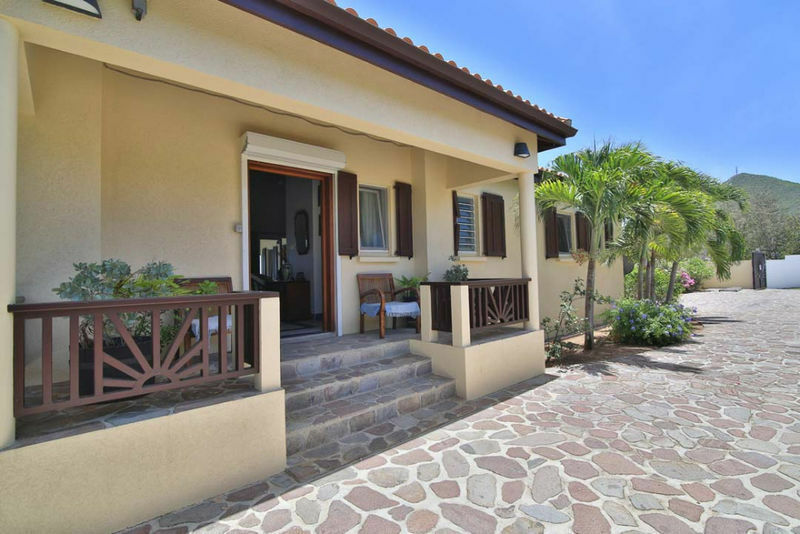 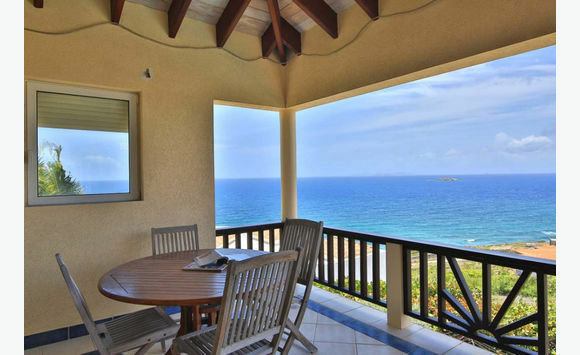 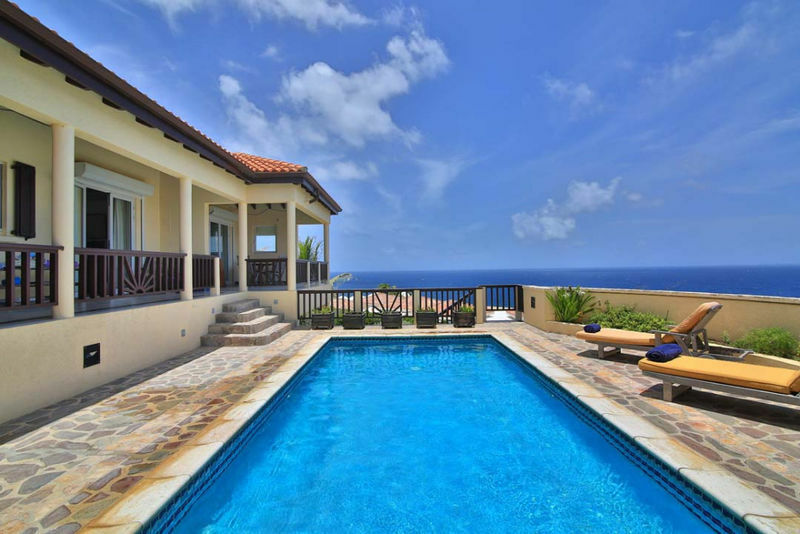 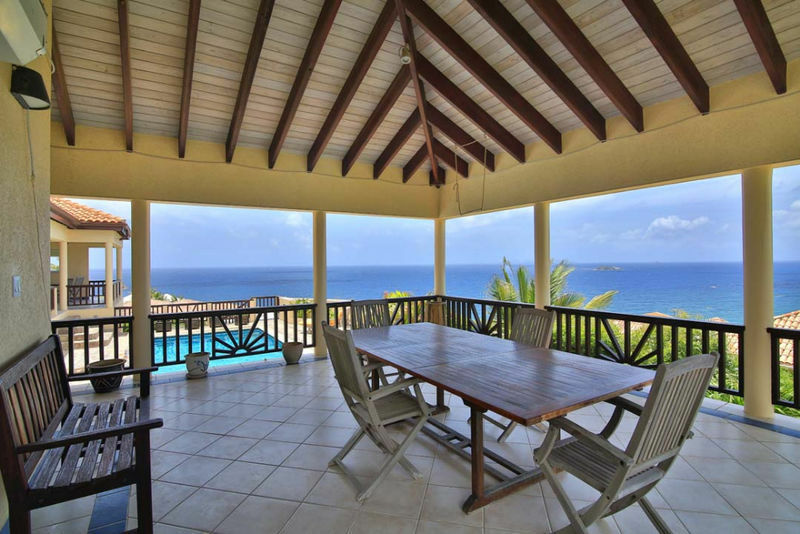 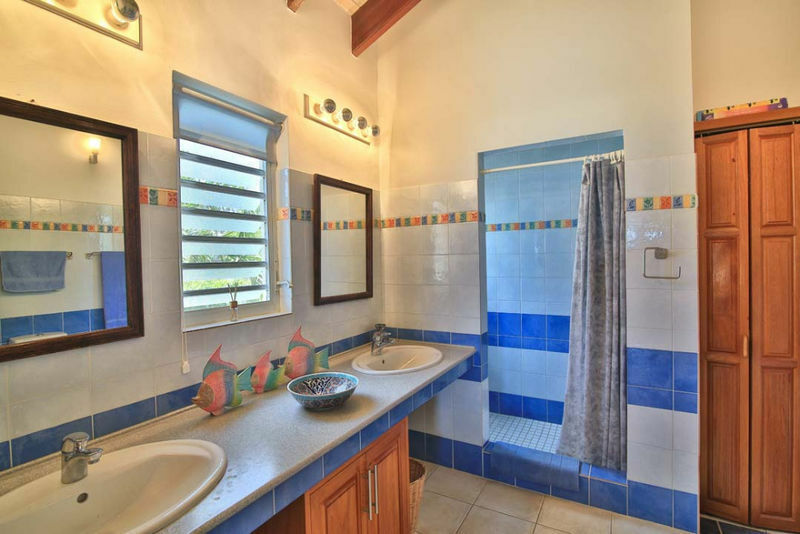 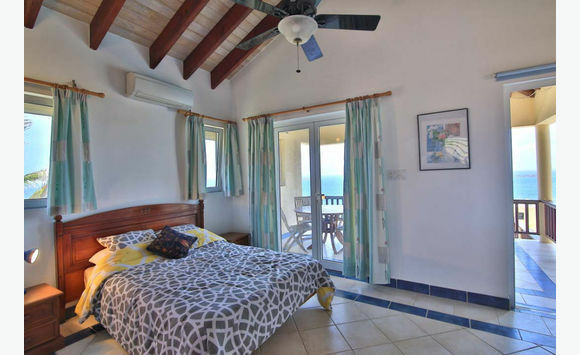 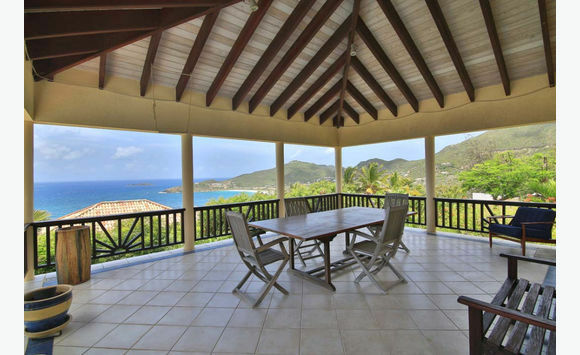 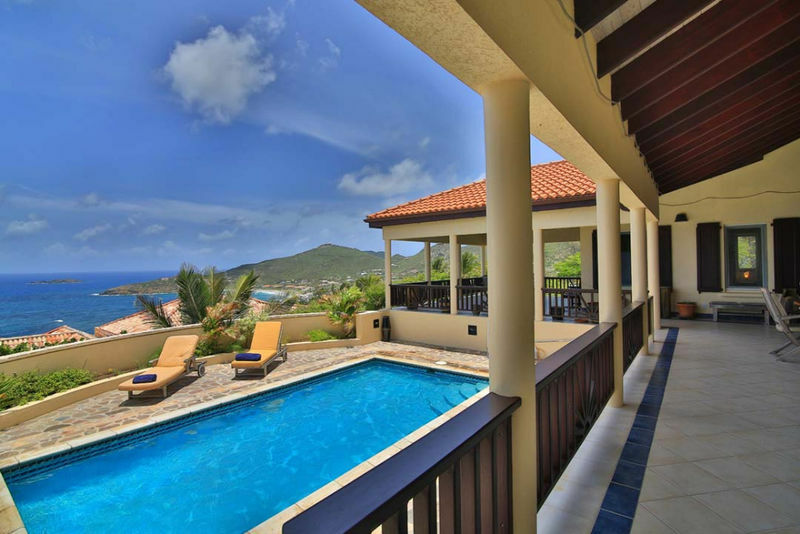 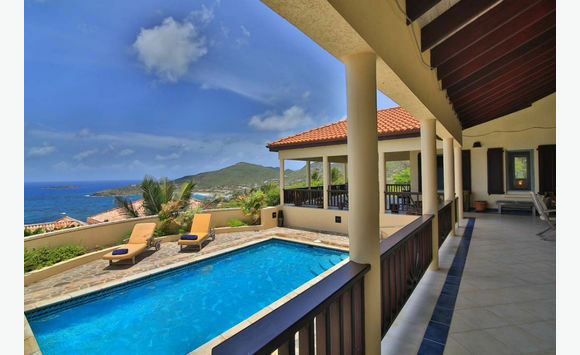 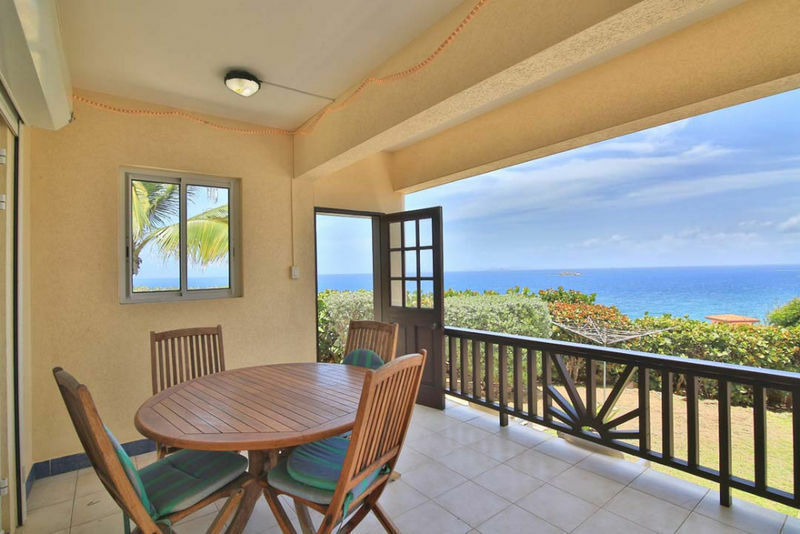 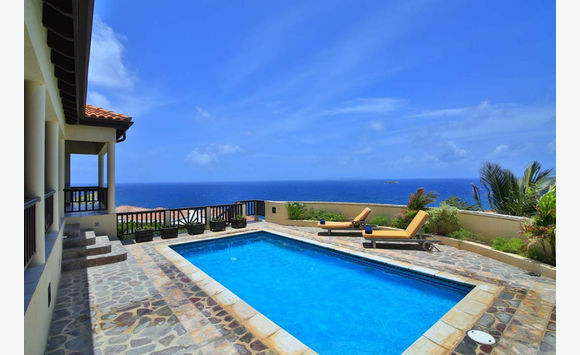 It is favoured with sea breezes; spectacular views of the surrounding waters (Atlantic) the local islands (St Barts, St Kitts/Nevis, St Eustatia), the sweep of Guana bay and the inland hills. 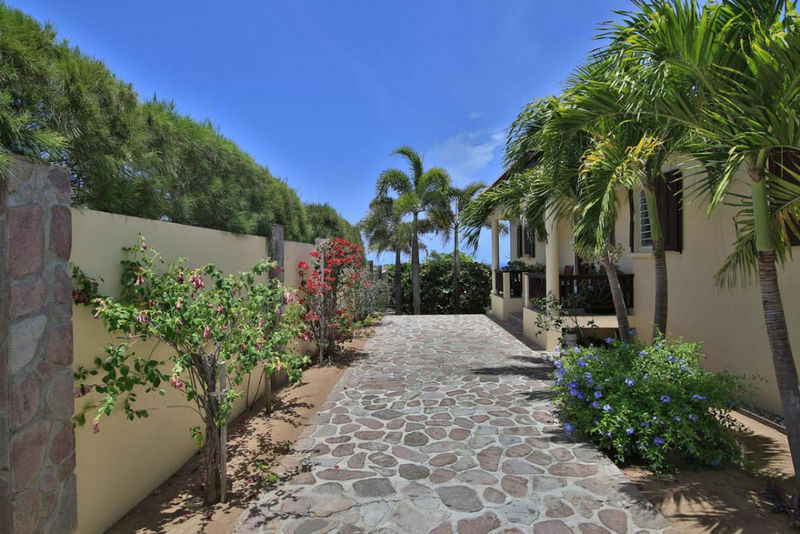 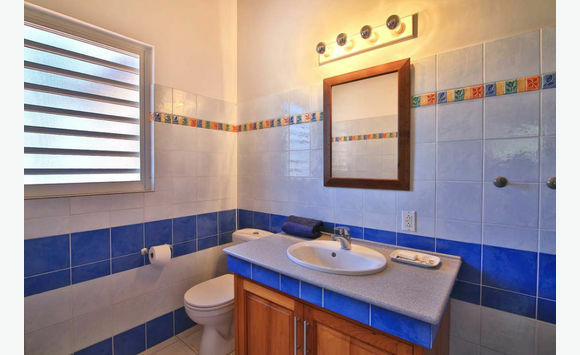 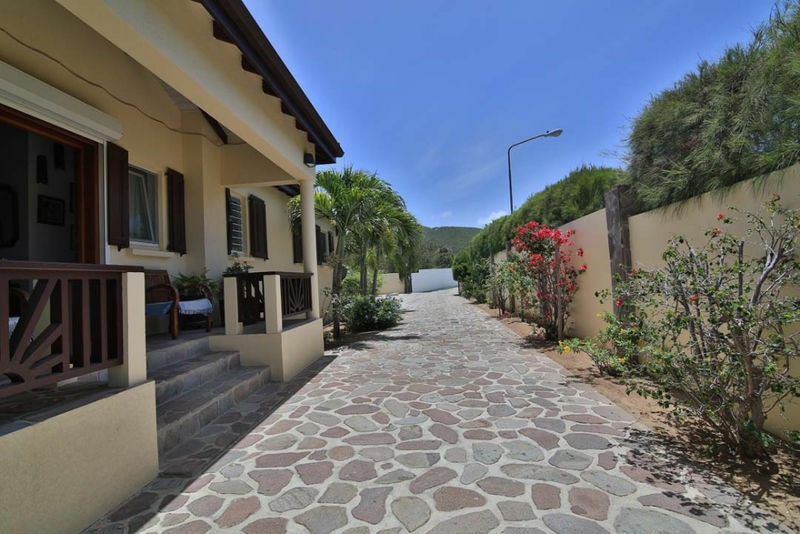 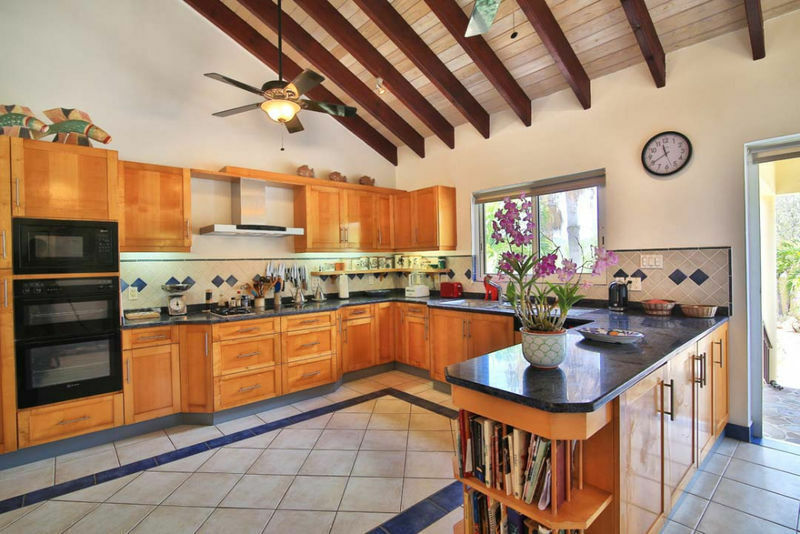 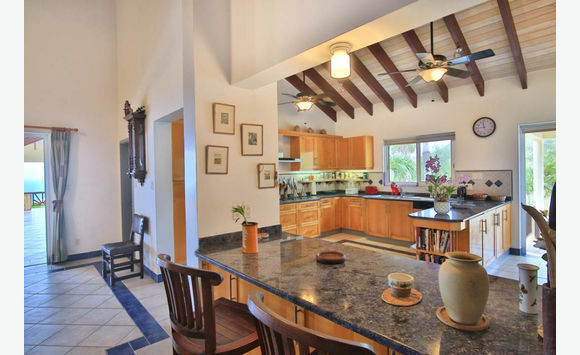 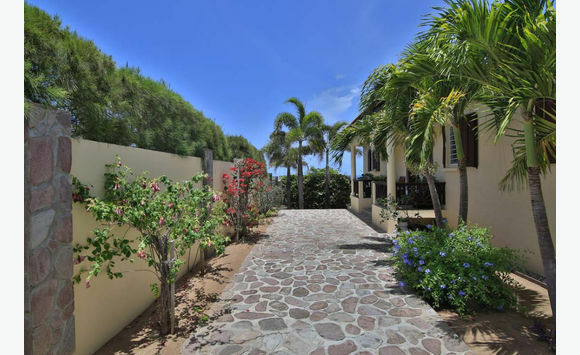 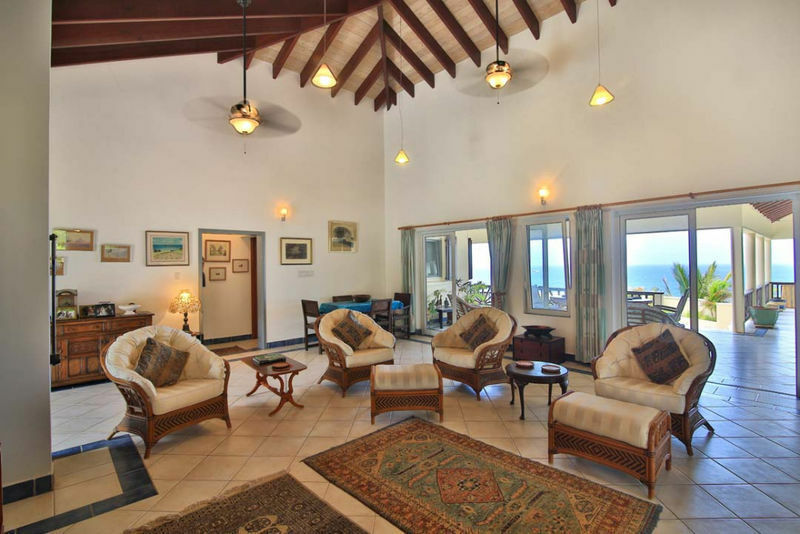 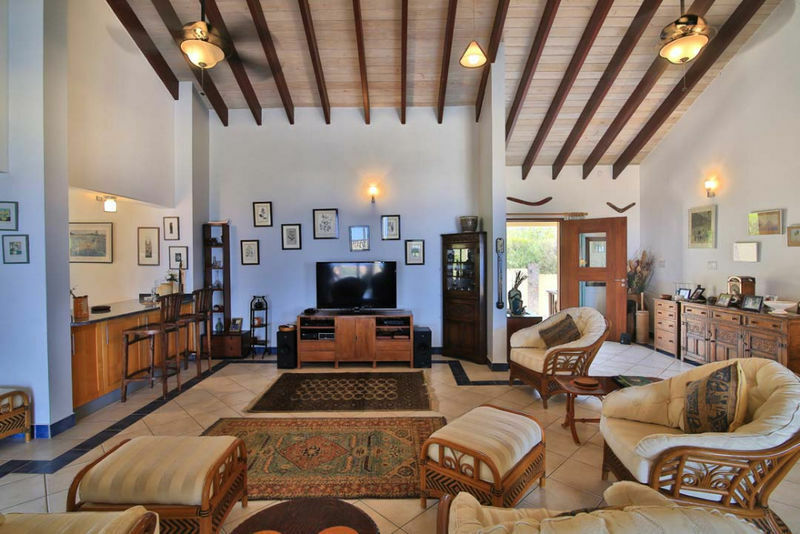 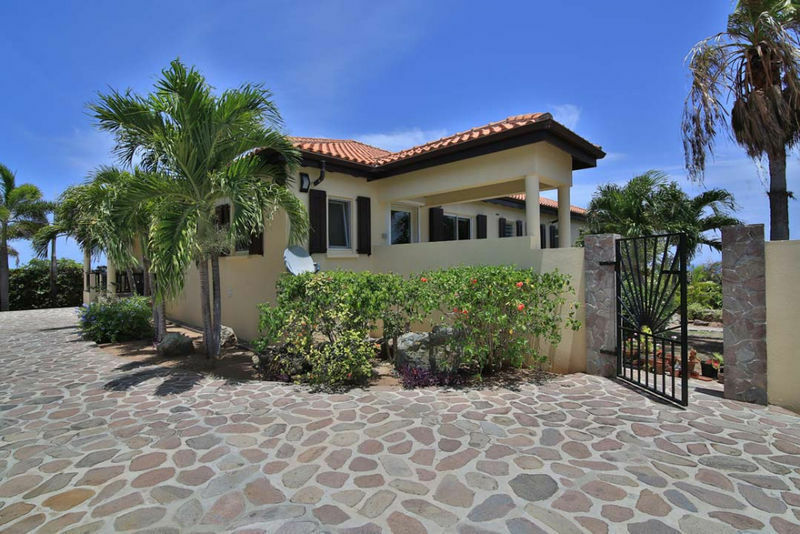 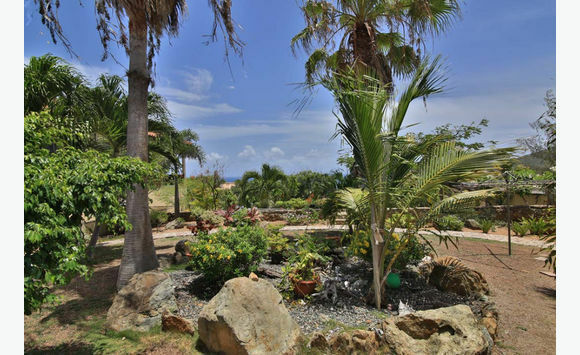 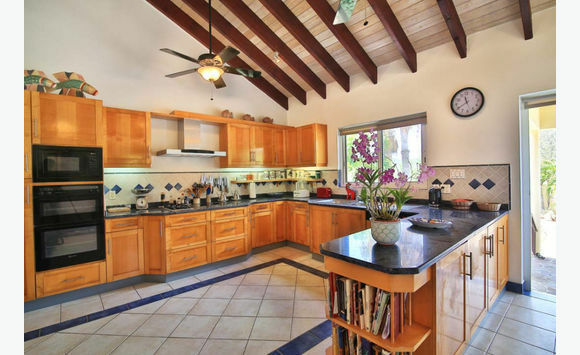 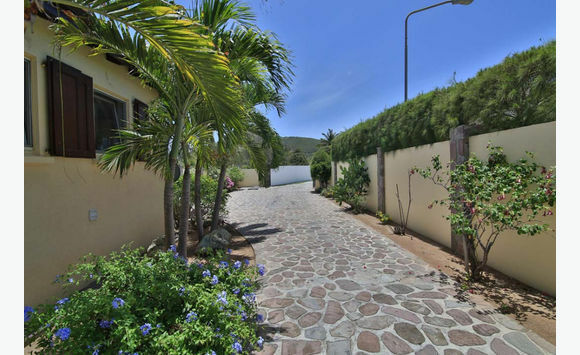 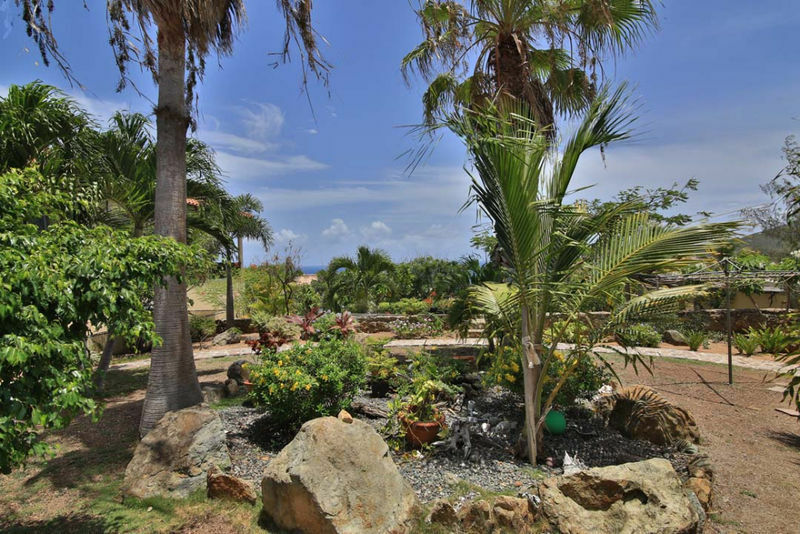 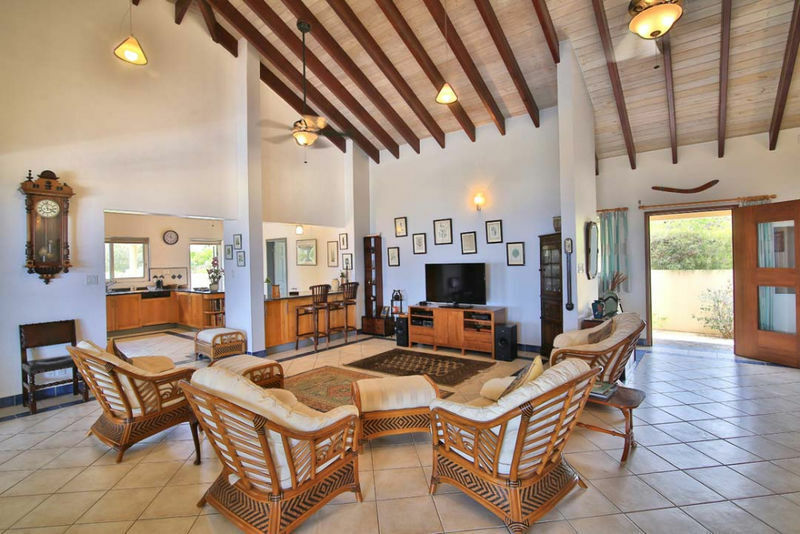 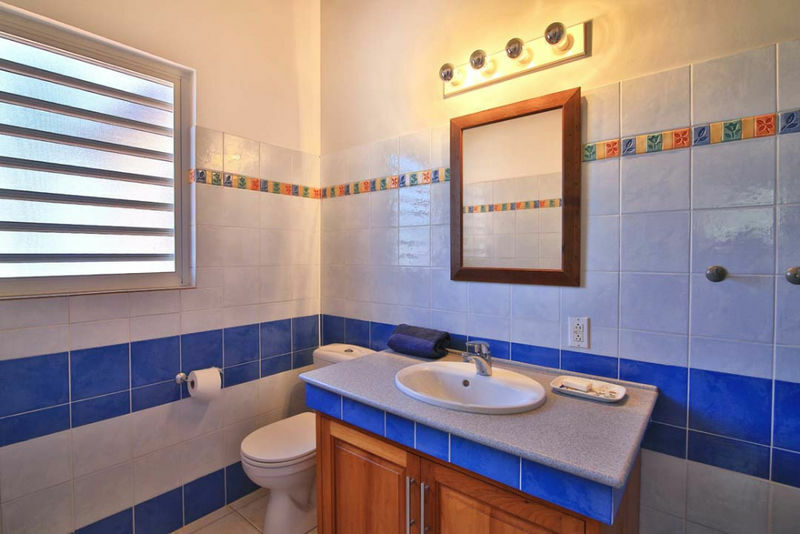 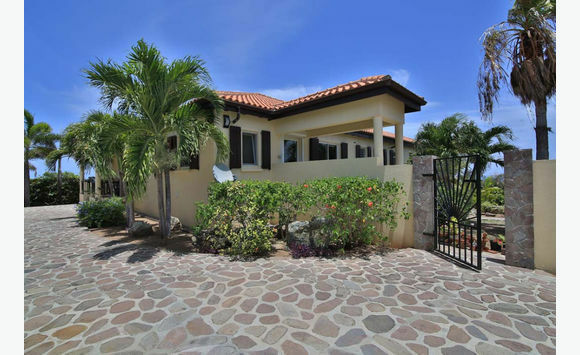 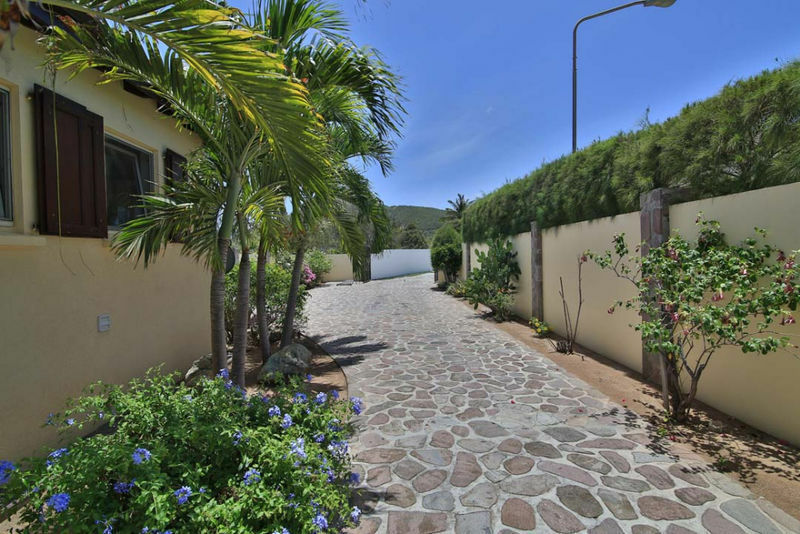 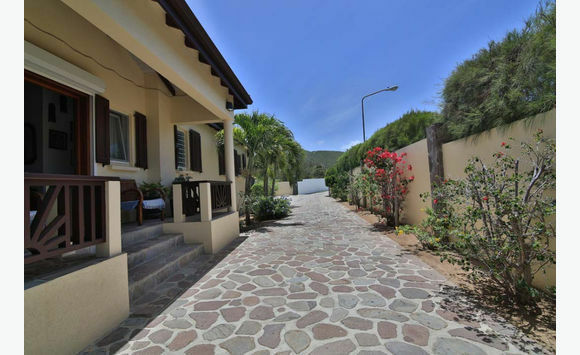 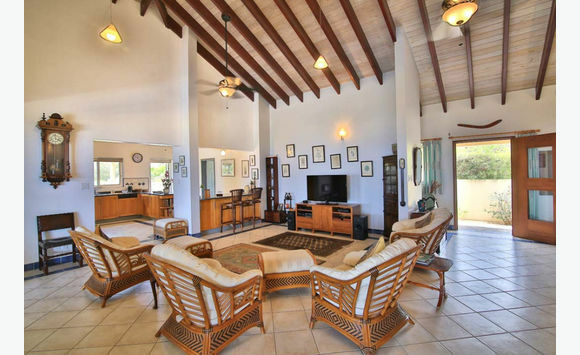 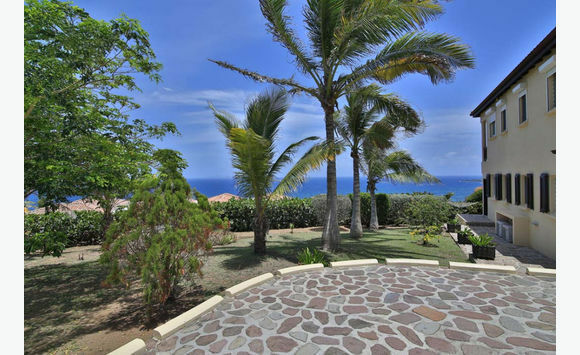 The property is within the gated community of Tamarind Hill Estate which is comprised of 49 upscale properties. 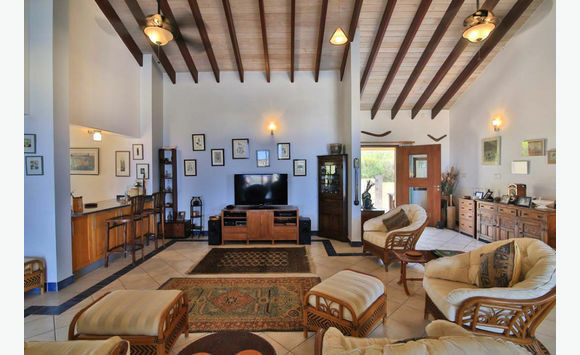 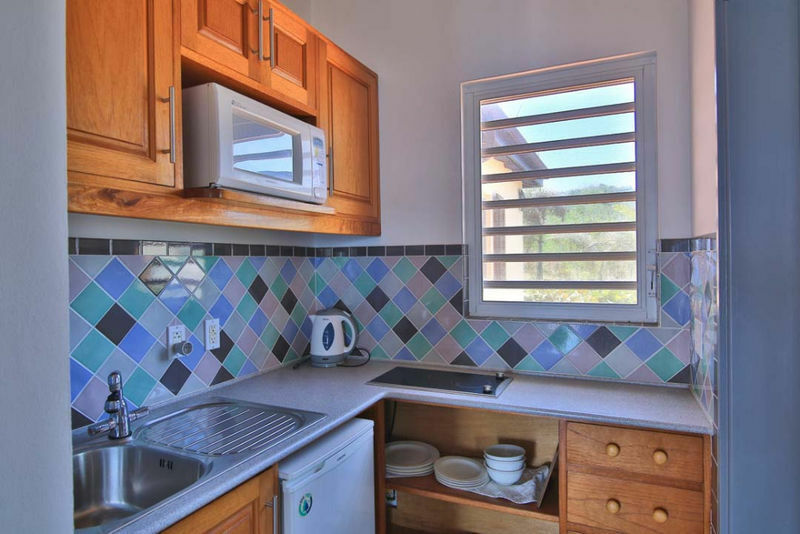 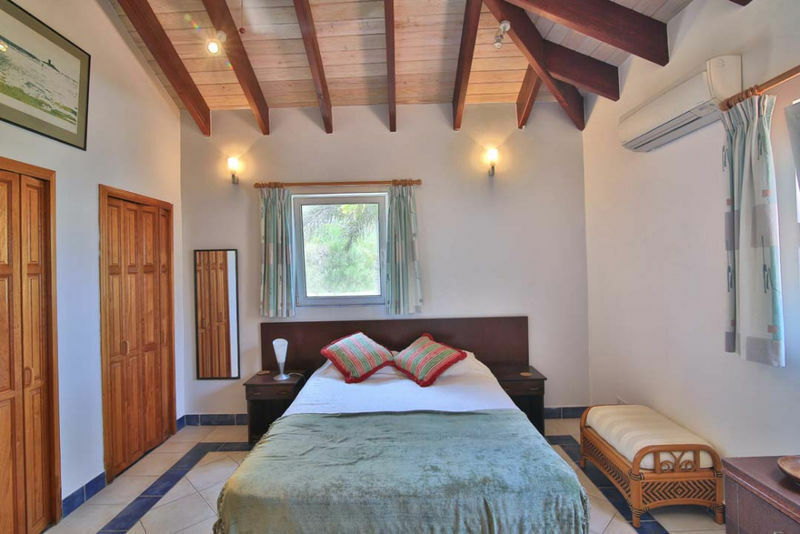 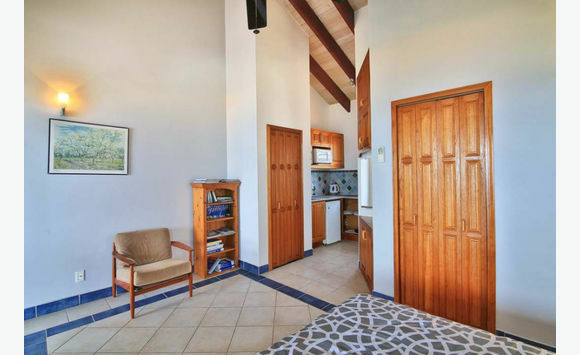 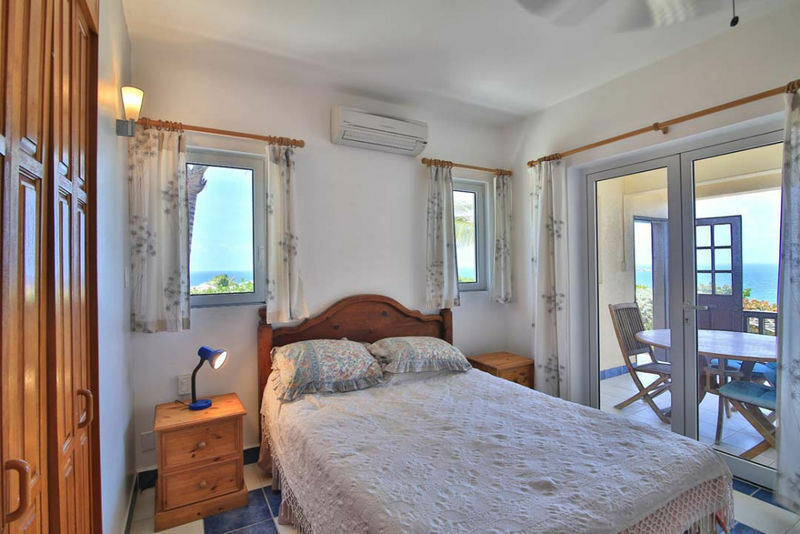 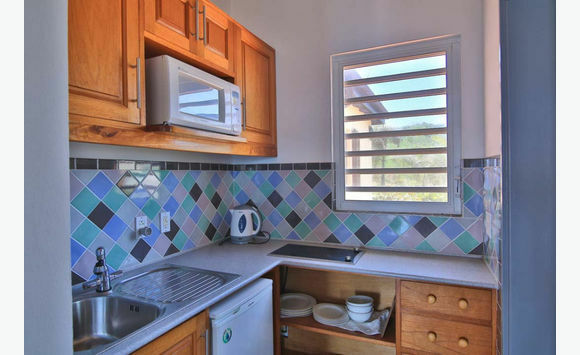 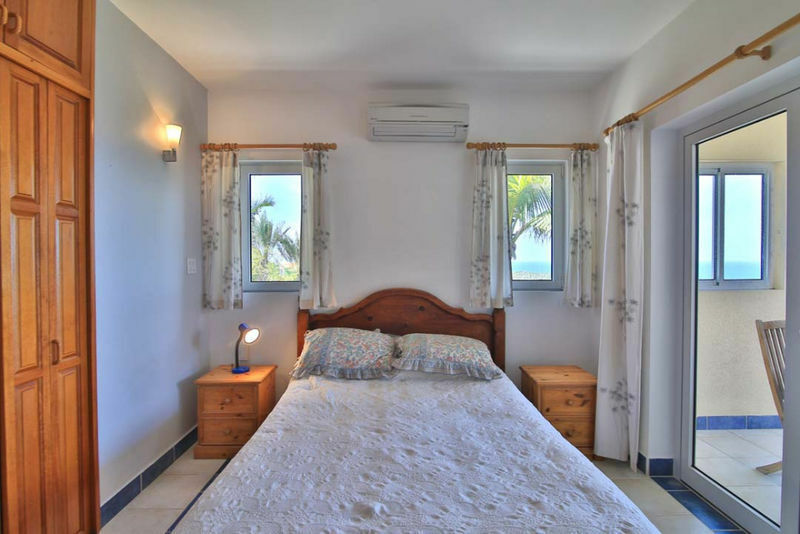 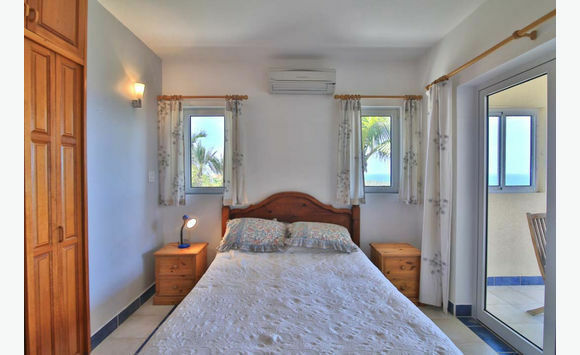 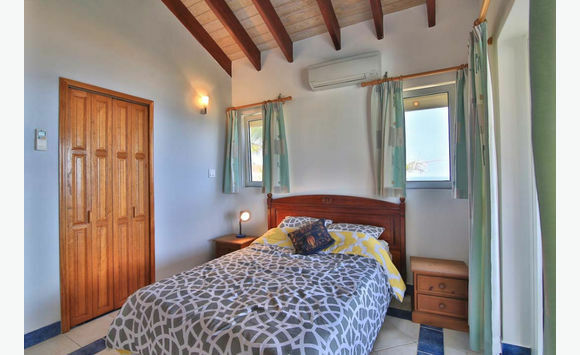 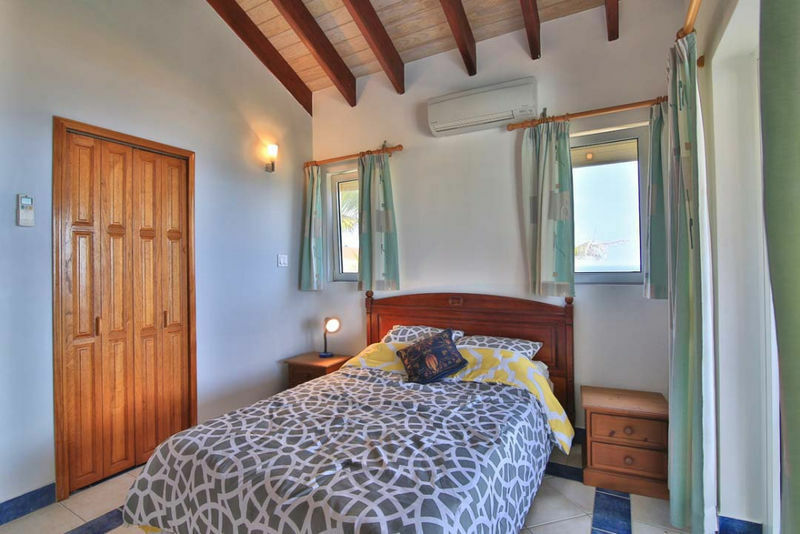 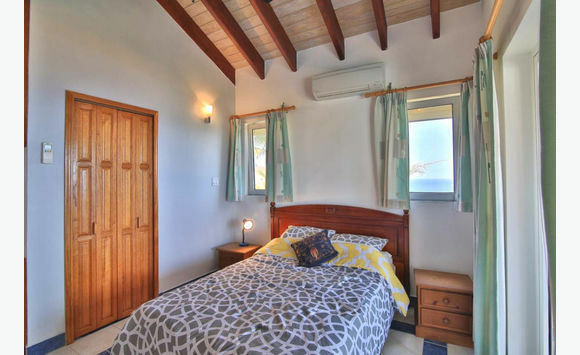 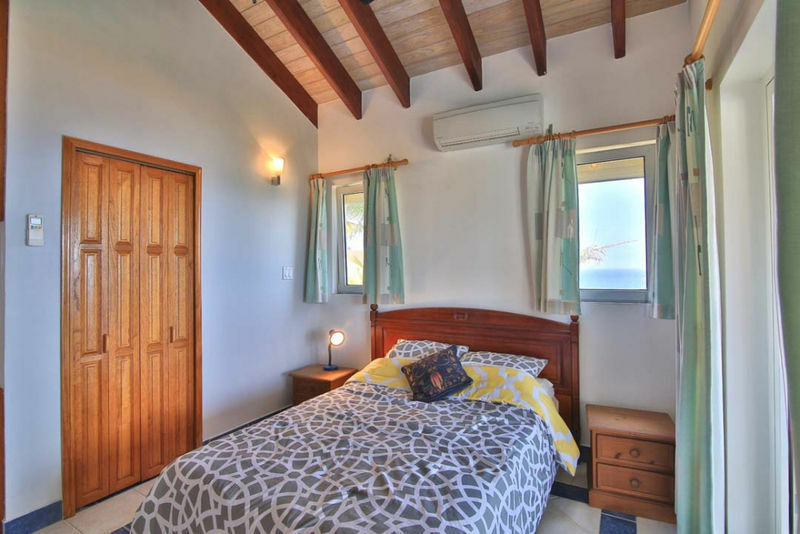 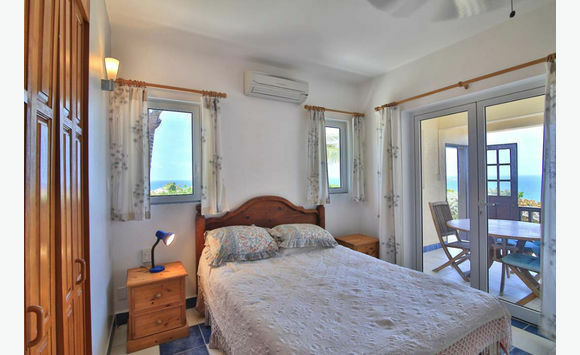 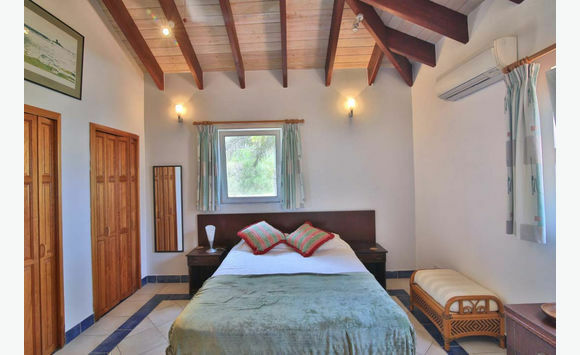 All 5 bedrooms are air conditioned and have their own en suite facilities, integrated cupboards and ceiling fans. 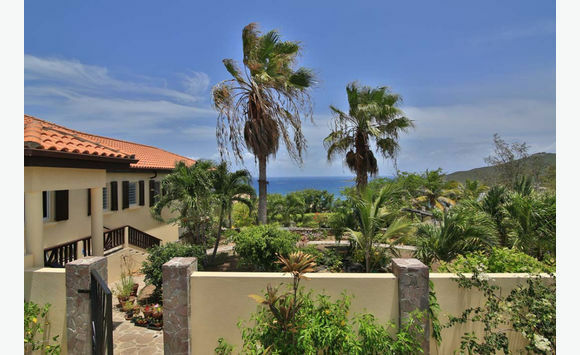 Outside the covered patio areas overlook the private swimming pool, the mature gardens in which the property stands and the magnificent views. 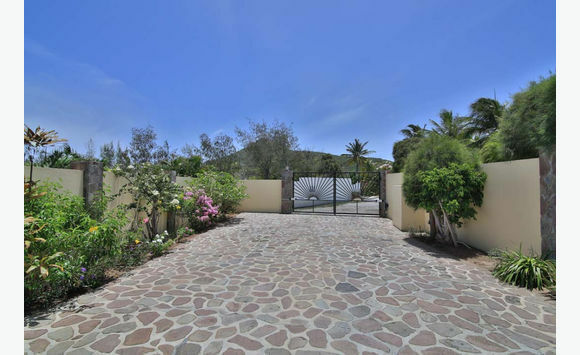 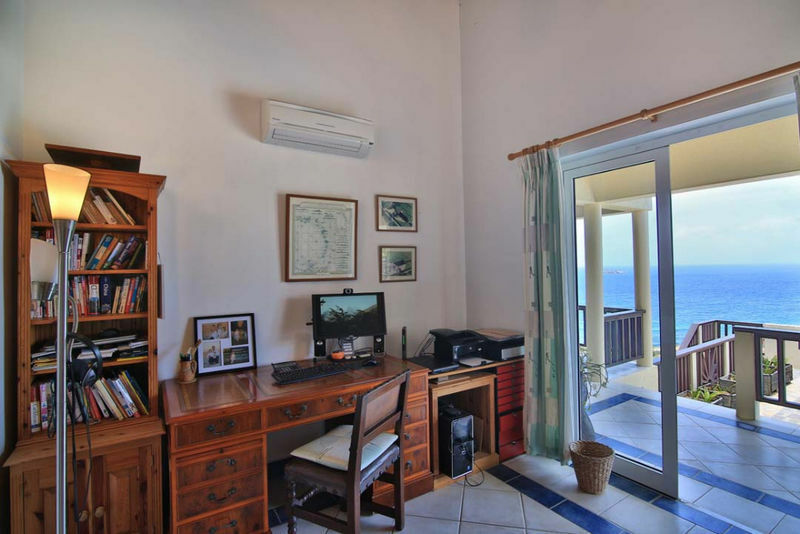 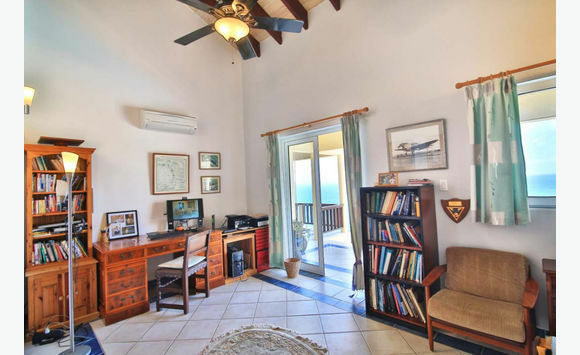 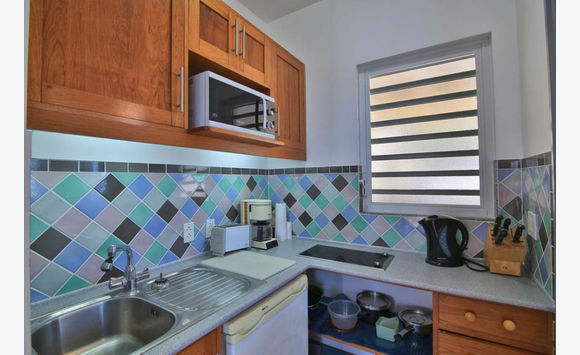 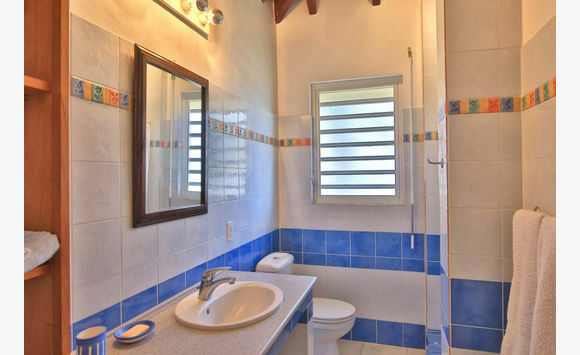 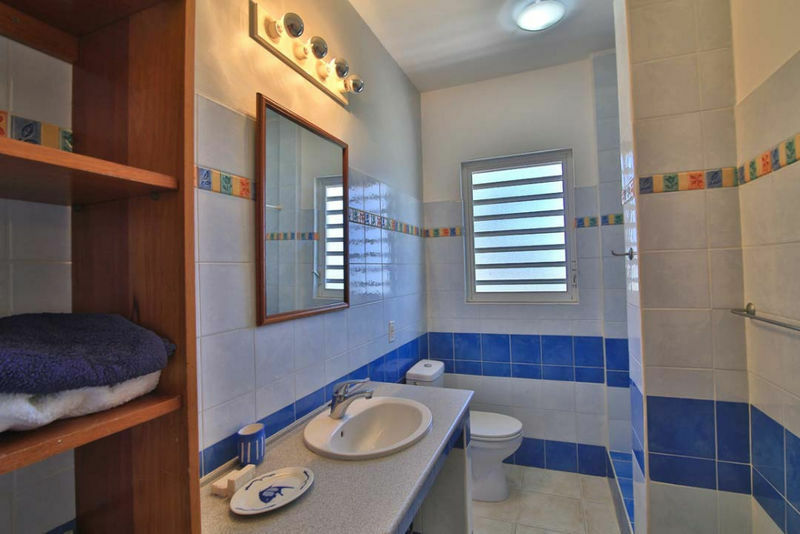 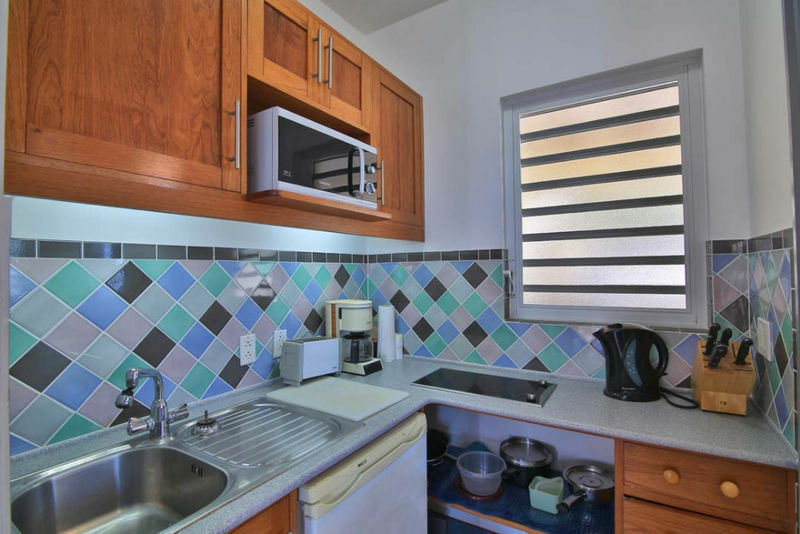 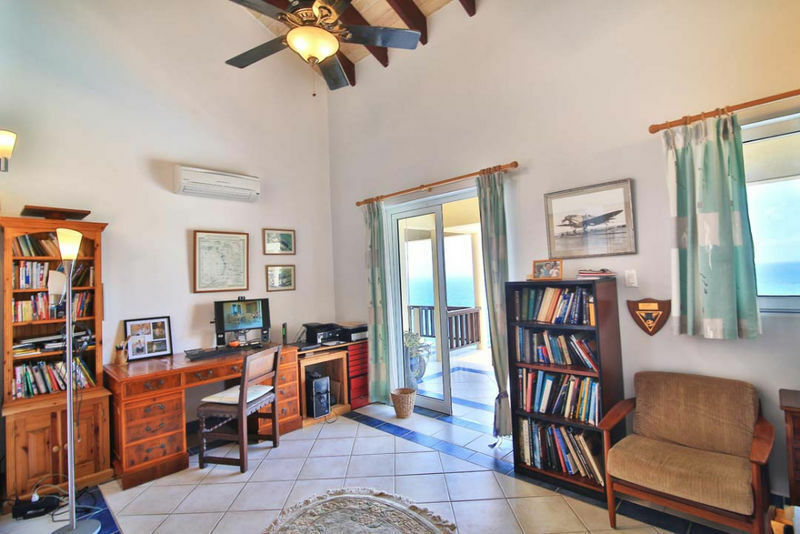 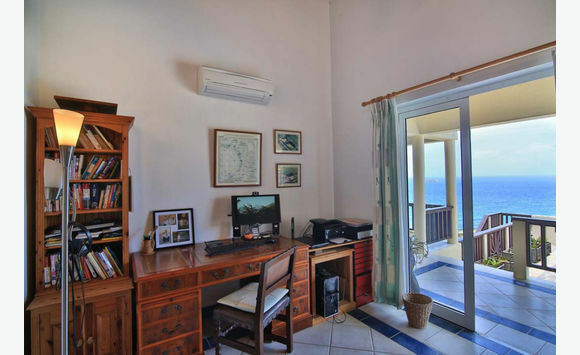 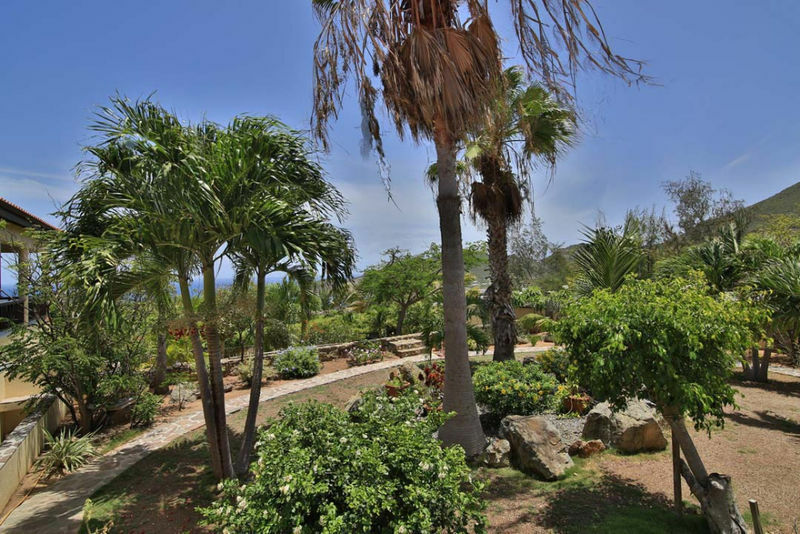 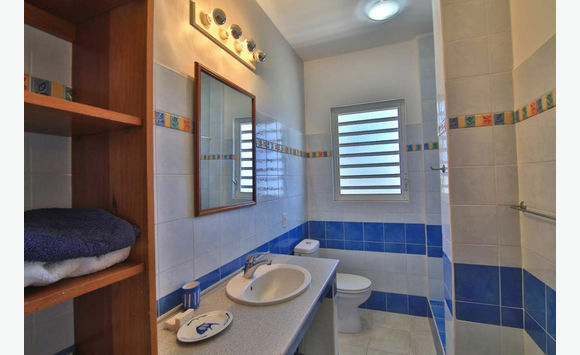 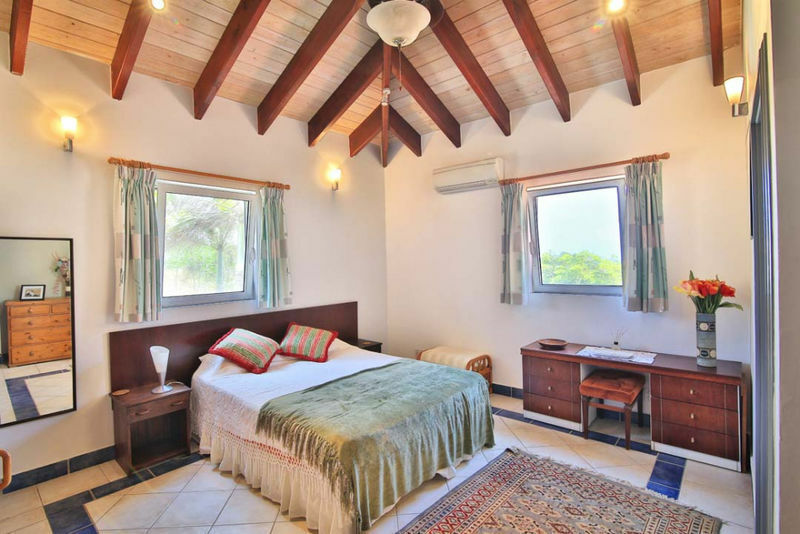 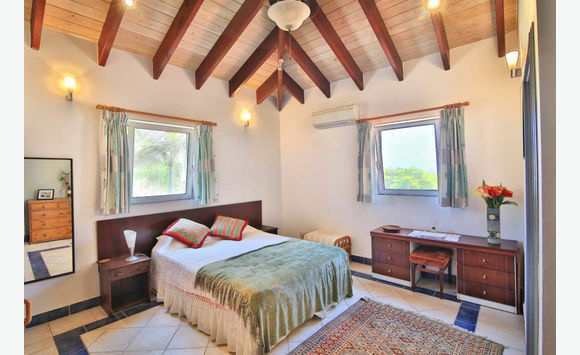 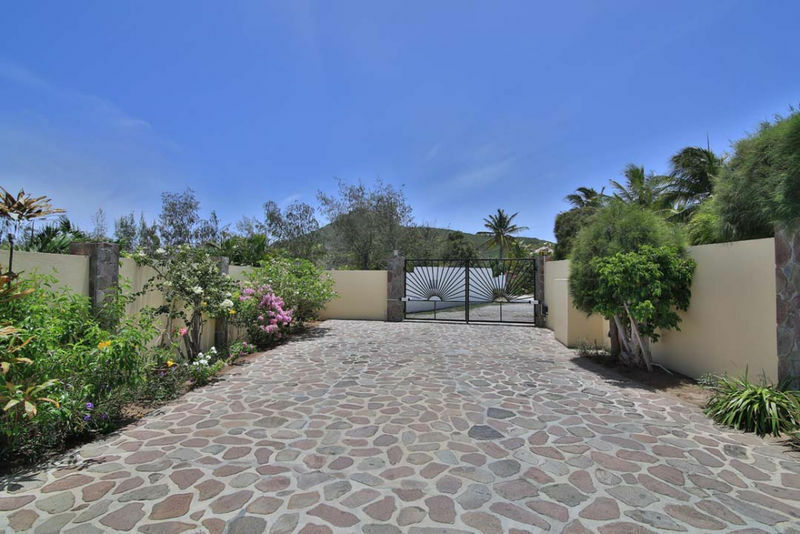 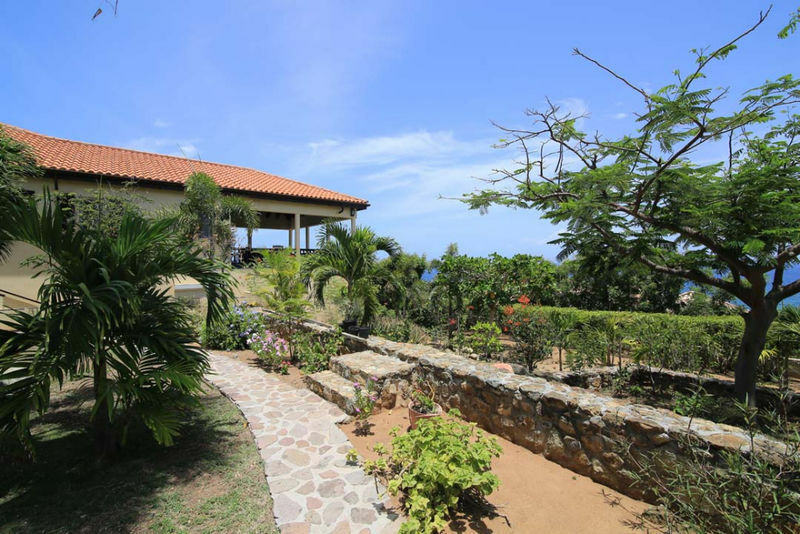 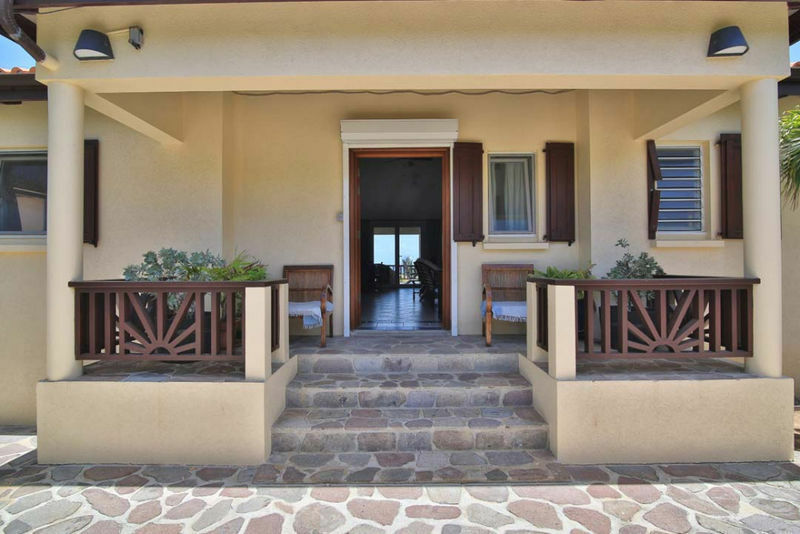 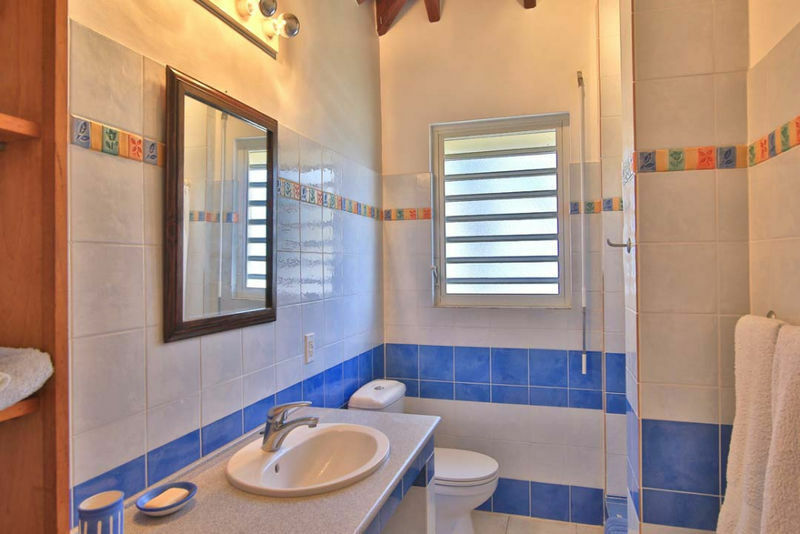 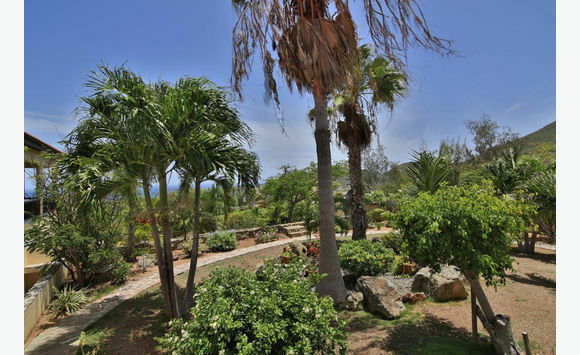 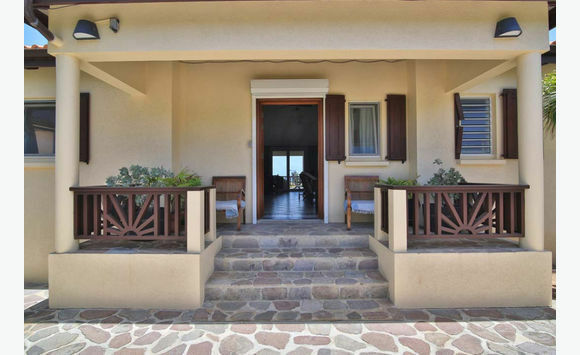 The property is located on approximately 2000 square meters of flat land with its own gated access to two separate parking areas and is enclosed by high walls. 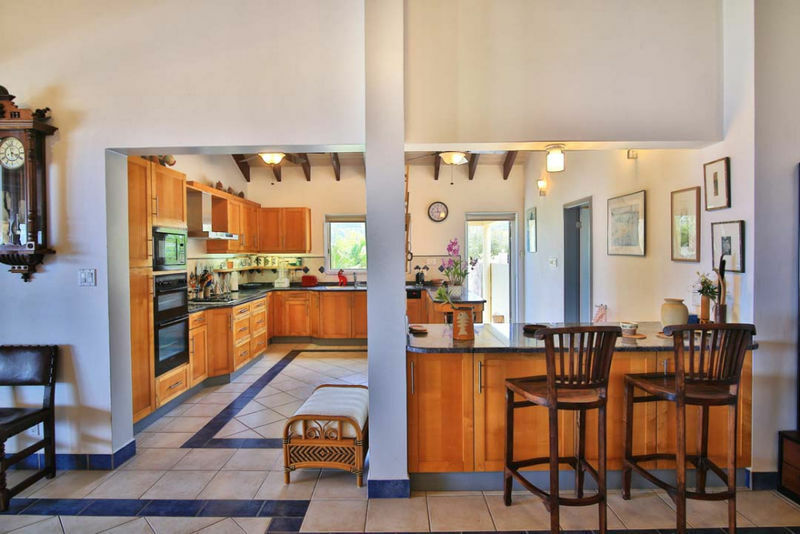 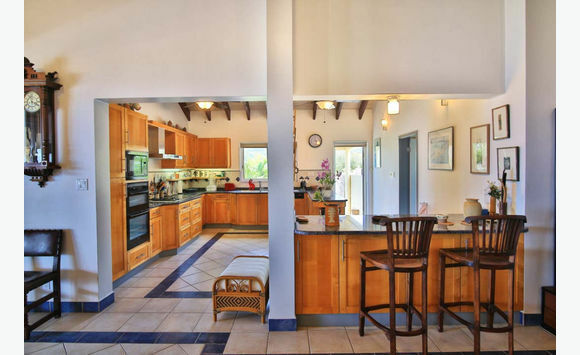 There is a large fully equipped kitchen, a separate utility room, visitor restroom and a very substantial lounge all under a vaulted roof with exposed beams. 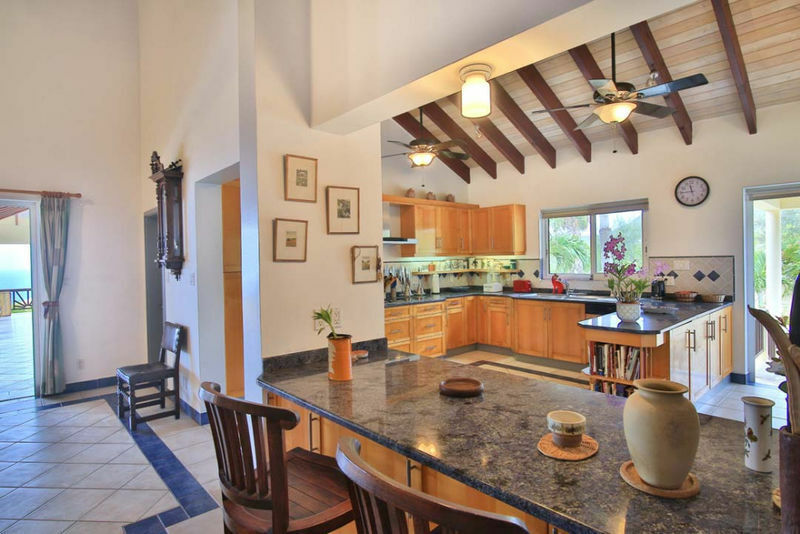 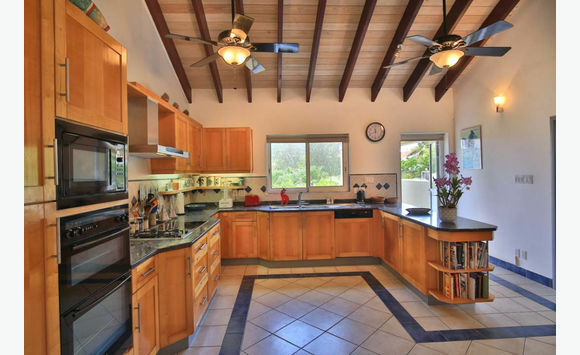 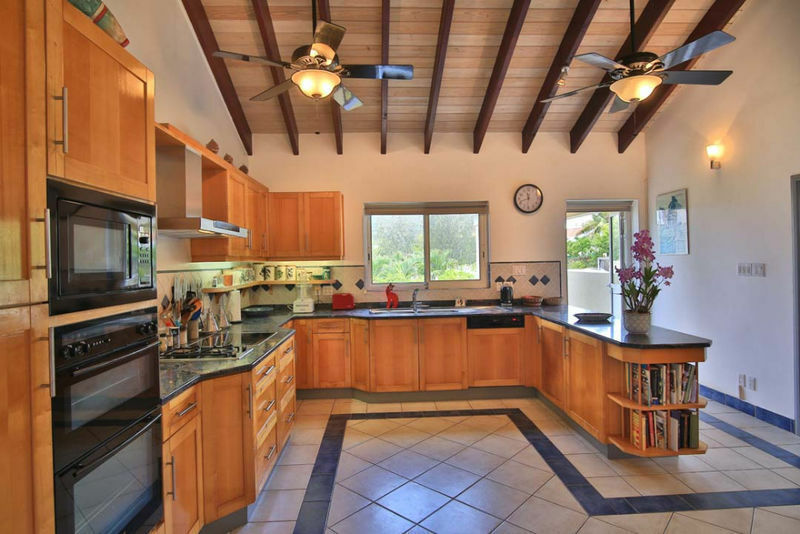 The roof beams are oversized, tied into a ring beam, topped with tongue and grooved wood with clay roof tiles on top.